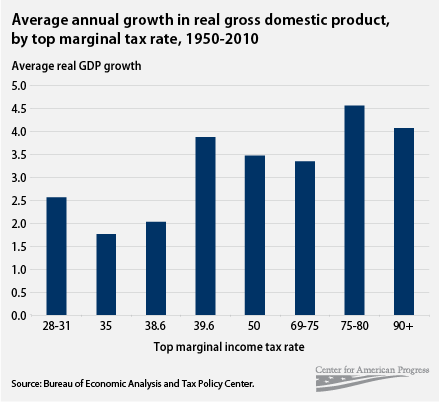 U.S. Debt Crisis: WHY, Exactly, Can't We Raise Taxes? 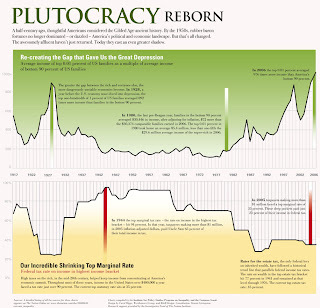 Home › Government Programs, Politics, Society and Media, Taxes › U.S. Debt Crisis: WHY, Exactly, Can’t We Raise Taxes? Everyone needs to make sacrifices during this tough time. That’s politicians of all stripes are saying. What they’re not adding is that when they say “everyone,” they really mean “everyone else.” We’re in the midst of a debt crisis, and we have politicians (who at least have had the decency to freeze their pay the last two years) doing their best to explain why Social Security payments, government employment pensions, and any number of programs are on the cutting block, but higher taxes aren’t even on the table. It makes no sense. Okay. It kind of does. Us regular schmoes aren’t making huge, vote-buying campaign contributions to maintain the status quo. I agree that some cuts need to be made, and that hard choices are coming. But the spending cuts being considered don’t exactly mean sacrifice for the big corporations raking in record profits this year and the wealthy who are enjoying some of the lowest tax rates in the developed world. If everyone were actually expected to sacrifice, we wouldn’t just be asking students to start paying student loan interest immediately. We’d be raising taxes on individuals making more than $500,0000, couples making more than $1 million and businesses making more than $50 million. That would be a way to raise some revenue without completely gutting the middle class and the small businesses that represent the backbone of our economy. “No serious economist believes Bush’s tax cuts will pay for themselves,” from an article in The Economist, 2006. 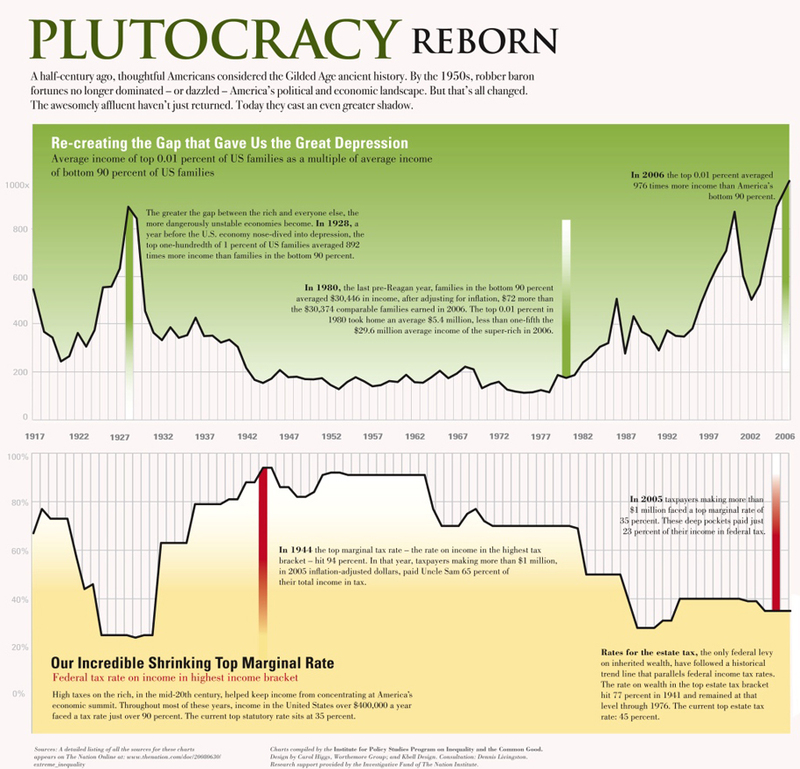 Rich Americans Save Tax Cuts Instead of Spending, Moody’s Says, Bloomberg, 2010. This testimony from the non-partisan Congressional Budget Office that points out that cutting income taxes ranks last in effectiveness among 11 proposals for spurring economic growth. What’s spooky is that 4 of the 5 points above aren’t exactly being made by bastions of progressivism. There are plenty of economists from all points on the political spectrum that know that cutting taxes doesn’t mean revenue growth. It only works if you cut programs, too. It’s just plain fiscal irresponsibility to claim that tax cuts alone are good for our economy — and it’s dishonest to imply that top rate tax cuts are good for the middle class. So, I ask again: Why is it that the diminishing middle class has to pay to get us out of this hole? Why should a shrinking middle class bear the brunt of this? Is there any reason why our system, which has been rewarding those at the top with greater and greater wealth for decades, can’t ask the rich be subject to a tax raise as the rest of us are hit by program cuts? “If policymakers are to put the nation on a sustainable budgetary path, they will need to let revenues increase substantially as a percentage of GDP, decrease spending significantly from projected levels, or adopt some combination of those two approaches,” the CBO report said. I, personally, believe that we should follow the third path: Decrease some spending, and increase some taxes. It’s not an either-or situation — and it shouldn’t be. Yes, government spending needs to be reined in. We need to decide on what our priorities will be, and we need to cut some of the fat. But we shouldn’t rely entirely on spending cuts. If everyone’s going to sacrifice, tax hikes at the top need to be put in place. ← Who Are Your Fellow Americans? 3 Responses to U.S. Debt Crisis: WHY, Exactly, Can’t We Raise Taxes? Excellent commentary with great references! I wish politicians would be more data-driven on their policy decisions rather than being so dogmatic. How has entitlement spending (Medicare and Medicaid in particular) gone up over the decades as a percentage of GDP? How much is due to changing demographics? And how much could be attributed to fundamental issues with entitlements? Many republicans claim the programs that came from LBJ’s Great Society were fundamentally flawed. If their history has shown they have always exceeded their budgets and have grown faster than planned, is there something to those claims? The joys of decisions based on facts and data. I don’t think that will happen anytime soon. I agree that they could look at health care data. However, I think a lot of the problem with why a lot of the costs have resulted in deficits has to do with the tax cuts at the top. For decades, the policy has been “tax cut and spend” — with both parties participating in this. You can’t cover increasing costs by reducing revenues. But I agree the data would be interesting. It would also be interesting to see what sort of savings we could have in general by switching to a single payer health system…. 2) They’re primary goal is to solicit donations and get elected. “Right” is secondary to this, for most politicians, though I believe there are many with integrity as well. I like George’s comment — how has entitlement spending increased? And how will it continue to increase as Baby Boomers retire?